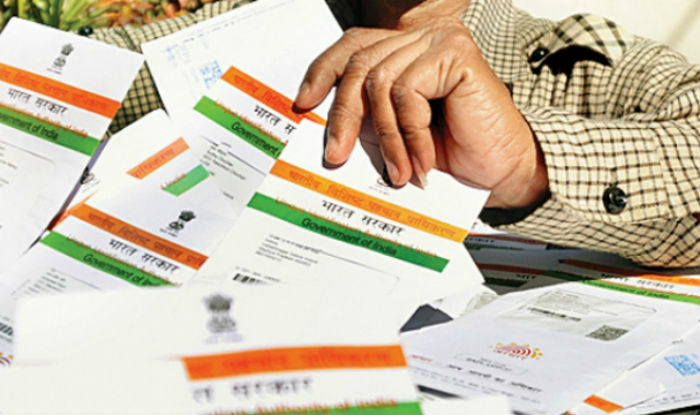 Having an Aadhaar is very important if you want to apply for a small business loan. Visit the UIDAI website or click here and select an Aadhar Application or Enrollment centre near you. Download the Enrolment form from here. Fill it up correctly. Carry the valid documents for ID and Address proof with you to the enrolment centre. Get your Biometric data recorded at the enrolment centre. Submit the documents and the completed form at the Enrolment Centre. You will be given an Enrolment ID – Keep it handy as it will help you check Aadhar Status. For the Aadhar Card Online Registration, refer the steps below. Click Here and locate the nearest enrollment centre. Do Note: In NPR States the process of Aadhar Card application is slightly slower as compared to UIDAI states where everything is done in a more systematic and time-bound manner. Click here to download the Aadhar Card Enrolment Forms. In case you do not wish to download the form, then the enrolment centre too will have the enrollment form available. You can collect and fill the same. The form will require you to fill up the details regarding Name, Parentage, Address, Date of Birth etc. Be very careful and remember to fill your active mobile number and email ID correctly. It will be very easy to carry out a lot of important Aadhar related updates and corrections (if needed) in the future. Carefully fill the form and keep the ID and Address documents ready. Visit the enrollment centre with one of the eighteen (PoI) Proof of Identity & one of the thirty-three (33) Proof of Address (PoA) documents in original. Additionally one can wish to link his/her Bank Account with Aadhar for availing the direct benefit of various government subsidies, schemes etc. This is optional and if desired original updated Bank Passbook needs to be carried along. The form can be filled in Hindi or English. One should carefully enter his/her Mobile number as it shall be fed into the Aadhaar system and will be linked with the Aadhaar number. Frequent status updates are sent to the mobile phone number linked regarding the issuance of Aadhaar number/Aadhaar Card. Mobile number is also used later for security purposes when one wishes to generate e-Aadhaar or make corrections in particular. The process of enrollment also includes biometric scanning like finger scanning, iris scanning and clicking of the photograph. An additional monitor will be placed in front of the applicant for him/her to verify whether the details being entered are correct or not. The entire process takes maximum ten to fifteen minutes and on successful enrollment, an enrollment slip is given to the applicant mentioning the enrollment number and enrollment date and time. This slip should be preserved as it shall be used later to check the status of issuance of Aadhar Number, generation of e-Aadhaar etc. Also Read: Looking for a Small Business Loan? Here’s a Handy Checklist Of Documents to Expedite the Process! Once data is collected it is then subjected to various levels of scrutiny to prevent errors and duplication. The entire process takes around 60- 90 days. However, if enrollment is through NPR it could take a bit longer. If data is found to be correct and in order, Aadhar number is generated and conveyed through SMS. Also printed Aadhar Card is sent through Speed-post to the residence of the applicant within 3-5 weeks. In case of any discrepancies, one needs to visit the same centre with enrollment slip within a few days to get the data corrected and form re-submitted. Once issued one can anytime generate a copy of e-Aadhar which is treated equivalently to Aadhar card from the Resident Portal of Aadhar by accessing uidai.gov.in. Do you want to take an unsecured loan for your small business? get in touch with Gromor Finance. Gromor provides unsecured loans at attractive interest rates and the loan disbursal is also quick, within 3 days or less.